Having dealt with the Company for around 40 years we find the customer service excellent and the quality of products of a high standard. The service and quality is first class. Colaren Homes have been a customer for over 10 years. We have always been pleased with the quality of the products that we purchase in particular concrete block and aggregate materials. The service is always first class, and they always do their best to help us if we need materials at short notice. 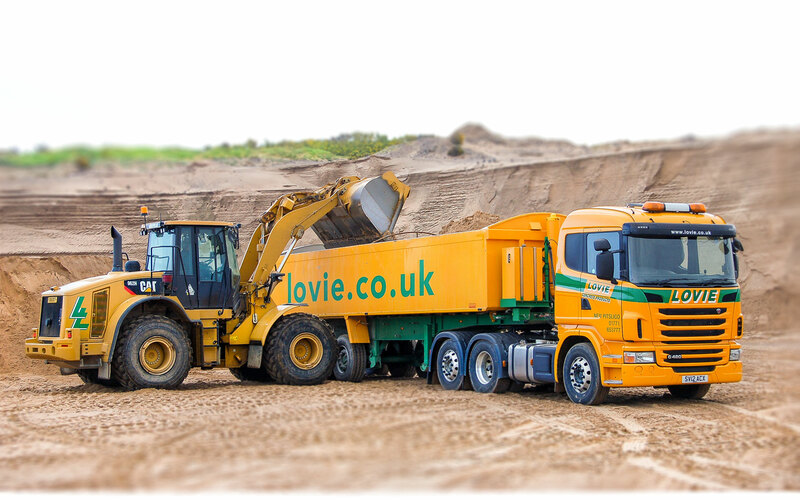 Welcome to the Lovie Quarry and Concrete Products website where you can find out about the diverse range of products and services that we have available. If you like what you see - why not pay a visit to our main office which has an extensive display area of all our concrete products including our very popular CastlePave™ and GlenPave™ paving slabs, as well as many of our quarry products such as gravel and beautiful crushed rock. Whether you are an architect, commercial company or an individual looking for a few paving slabs - Lovie can supply you with all the high quality materials you will need to complete your project.